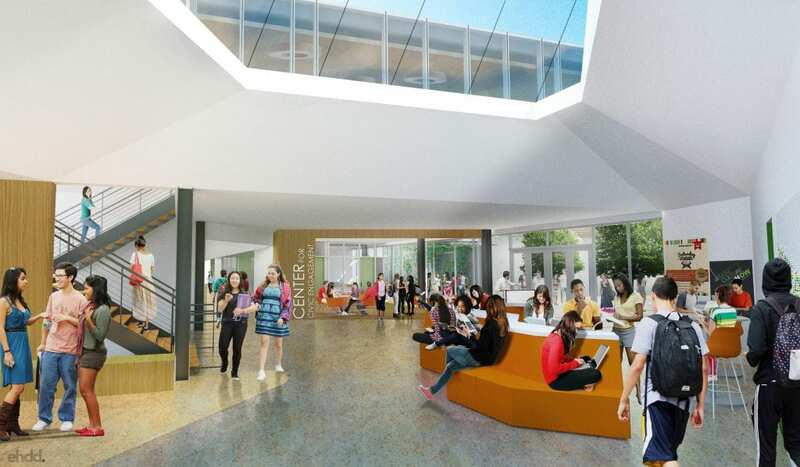 The $26 million private high school campus expansion replaces an outdated 1950s-era building with a new steel structure while maintaining the historic building exterior. 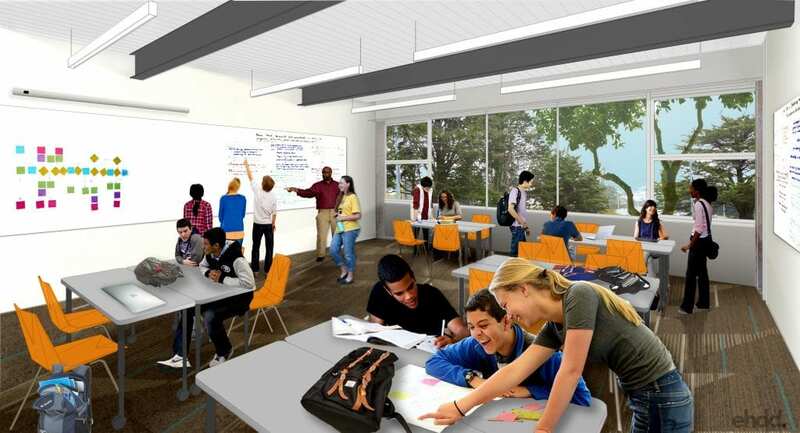 The building replacement will accommodate new classrooms, staff offices and locker rooms for gym use. 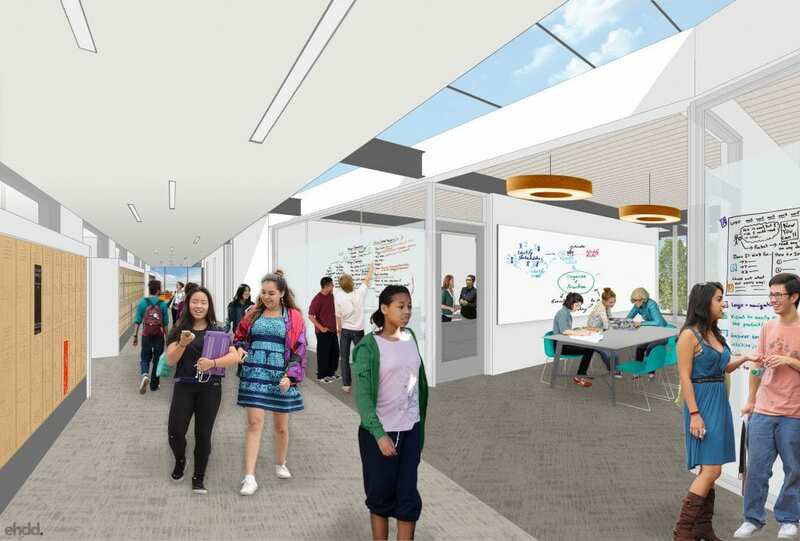 The project also builds a new entry, plaza, lobby and administrative offices at Ocean and Howth streets and renovates part of an existing building to reconfigure and expand science laboratories. While targeting LEED Platinum certification, the project reaches beyond LEED levels of sustainability. It is part of the Living Building Challenge, a certification program that requires meeting a series of advanced performance requirements during 12 continuous months of operation. Incorporating Net Positive Energy in its design, the building will produce more energy than it consumes.